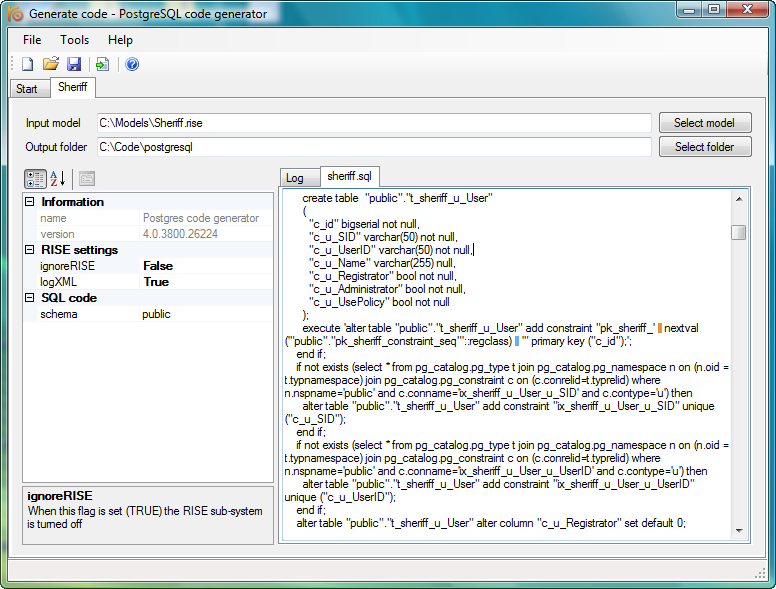 RISE PostgreSQL code generator The RISE PostgreSQL code generator generates a native PL/pgSQL script. The script incrementally updates the tables, columns, indexes and constraints in the database to match the RISE model. Once the database model is updated, the views defined in the RISE model are created in the database and possible default data, entered in the model, is inserted. RISE Code generators The RISE suit provides a range of free code generators for you to use when transforming your RISE model into software. There are two main categories of code generators: database script generators and application source code generators. Database script code generators The database code generators write an incremental script for creating, and updating, relational databases based on your model. A RISE model contains the entire life-cycle of your data model. The code generator translates this life-cycle into an incremental database specific script. Currently, RISE provides code generators for SQL Server, MySQL and PostgreSQL. Application source code generators The application source code generators generate code for working with databases based on the RISE model. The generated code includes classes for managing database access and for publishing the access layer as web services. Both SOAP and JSON style web services are supported. Currently, two languages are supported C# (.NET) and PHP. The C# code generator outputs code handling all three databases (SQL Server, MySQL and PostgreSQL). For PHP there are two different code generators, PHP for MySQL and PHP for PostgreSQL, creating source code using the respective database native driver. How to run a RISE code generator In order to be both flexible while and easy to use, RISE code generators can be launched in several different ways. You may run a code generator: * as an integrated part of the RISE Editor. * as a standalone application from the start menu. * using a script or from command line. Download Free Trial. 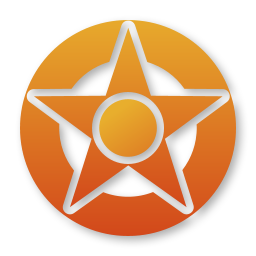 The Marshal Suit helps you to transfer data from one database to another, or to XML files, in an entirely reusable way. It brings simplicity and clarity to the troublesome task of extracting and compiling data from many sources. Download Free Trial. The Marshal Integrator is a Web Service for execution of predefined data migration models from your custom applications. This site does not contain serial number, crack, keygen RISE PostgreSQL code generator serial number : serial number is the simplest type of crack. A serial number(cdkey,product key,etc) is register the program as you may already know. a crack or keygen may contain harmful software. If you cannot find the exact version you want, just give it a try. for more information read .nfo/.txt/.diz file include in zipped file.